Last night I had an extremely enlightening conversation with some girls who live in my apartment complex. The topic was one of my favorites and most frequent: dating. But I learned something that troubled me. For as smart as girls are and for as much as girls over-analyze most situations with their wire-like brains, they really don’t understand how men work at all. So that is what today’s post is about. If you want some in-depth posts on the subject, check out how men’s brains work like boxes and how men and women’s brains interact. But today I’m charting a new territory: signals. I know that lots of women (especially those currently in the dating pool) read lots of magazines and articles with titles like “How to pick up guys” or “7 signals you can give your man.” I’m here to tell you that all those articles were written by women, and they don’t work. Let me explain why. I have a very dear friend who we will call Sally (because that is the most generic name I could possibly think of, not because she bears any resemblance to the Peanuts character. Although now that I think about it, she does a little). She may hate me for posting this, but I can’t think of a more perfect example to teach by. Please forgive me, Sally. Sally has been troubled lately by – what else – a boy. A certain young man has asked her out on several dates. Because she is one of the kindest people I’ve ever met and never wants to hurt anyone’s feelings, she says yes, even though she knows she isn’t really interested in the boy. She thinks she is giving him plenty of signals that she only wants to be friends. Last night I had to smack her in the face with truth. We never have, and we never will. The only signal that this boy is reading is the fact that she said yes when he asked her out several times. All of her other subtle hints about her feelings or intentions when straight over his head. I’ve said it before, and I’ll say it again : men’s brains don’t have a box for subtle hints. As I’ve discussed this problem, I’m often shocked at the level of detail girls put into their signals, and more shocked that they think boys will ever pick up on them! Of course, the differences in how our brains work plays a part, as does the fact that we live in a society where the boys are expected to ask girls out, and not usually the other way. 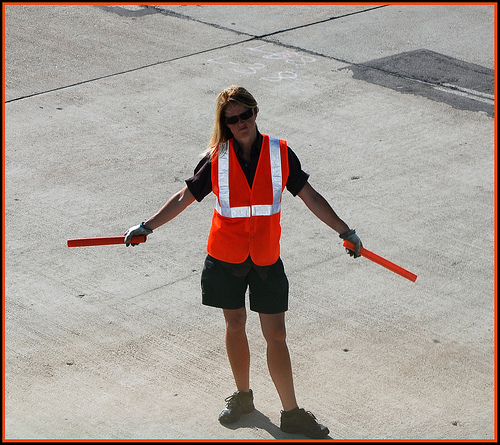 Anything more subtle than glowing wands and neon vests just won’t work on male brains. In the end, the only signal that really matters is this: if a boy asks you out, it means he likes you (or at least thinks you’re cute enough to get to know better). That is his signal. At that point, the only real signal he’ll get is whether or not you say yes. Your answer is THE signal. Do you think that perhaps as men get older they become better at reading signals from women? In absolutes I think you’re completely correct. However I think one additional signal is that girls drop hints as to what they want or what they like and this really has been the signal for me. However most of the time I’m oblivious to that. Good points!